is that it should abandon itself unreservedly. Don’t do anything else while you are eating it. Do not adjust your makeup. Do not drive the car. Do not talk to someone. Do not try to write about eating chocolate. Examine it, noting the color, graphics, ingredients, and company information. See the lineage of your chocolate. A small tree is tucked under the upper canopy of the rainforest, probably in West Africa. Anchored in rich soil, bathed in high humidity and tropical heat, the cacao tree sways in the breeze. A tiny midge, bred in the tree’s decaying leaves on the forest floor, begins its journey upward to crawl within the five petals of the white, dime-sized flowers blooming directly from the trunk. After the flower fades, a pod develops, stuffed with seeds, which are picked, fermented, dried, and ground to make your chocolate. 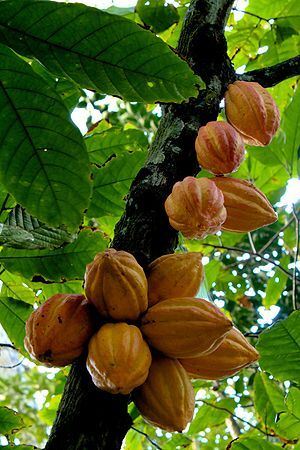 See the farmer who planted and cared for the cacao tree. See the workers harvesting the beans, hauling the harvest, inventing, and operating machines. 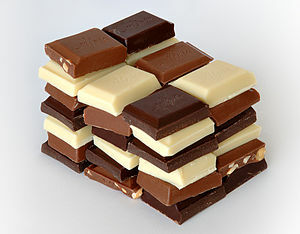 See the long train of people who have brought this chocolate to your hands and at what price? How many were children? Who suffered? Who gained? What has it taken to bring this smoky rich flavor to your mouth? How many miles has it traveled on someone’s back, by cart, conveyor belt, crate, ship, plane, or truck? How many hands has it passed through – plantation owner, shipper, factory worker, buyer, grocery stocker, check out clerk – to bring it to your hand? Relax. There is no rush here. Not now. You hold eternity in your palm. To pay attention and be fully present in each moment is to meet eternity. For each moment offers in its endless treasures all you will ever need for that moment. Some call this the sacrament of the present moment, or being present. Others call it mindfulness. Jesus called this quality of trust-filled awareness the kingdom of God. Feel the weight, see the color and shape of the chocolate. Lift it to your nose and sniff its fragrance. Do you catch the whiff of forest nights, heavy with insect song and stars? Run your finger over the chocolate. Is it smooth like satin, rough, or molded in some way? Break off a piece. See it separate and reveal its interior. Now bring it to your mouth. Wait. You are getting ahead of yourself. Do not eat it before you eat it. First, bring it to your mouth to bring it to your mouth. Pay attention to the impulse to lift your hand and the complex brain chemistry and mechanics of respiration, circulation, nerve, muscle, tendon, and bone, which perform this feat at your merest whim. Feel the chocolate touch your lips. Run your tongue over the surface. Feel them soften and release their sweet, spreading river of bitter, buttery cacao. Eat something mindfully, awake and aware in the present moment, and write about your experience. How did you feel when you began this exercise? How did you feel when you completed it? What did you notice, experience, or learn? Friends, I will be away from writing and reading for the next two weeks . I will spend ten days in silence and meditation, practicing mindfulness, as I walk, breathe, wash my face, and eat a little chocolate. Perhaps we will meet in the spaces of eternity in each new moment. Feeling discouraged? Despair breathing down your neck? Are you trapped in a painful situation with no way out? Count your blessings. I know. It sounds lame. You need a whole life makeover. You need to win the lottery, find a new job, or discover the cure for cancer. Humor me. Do it anyway. Hold up your ten fingers, or however many you have. Count out loud one blessing for each finger. Now that you are warmed up, take out a piece of paper and get to work filling it up with things you are grateful for. Just put down whatever pops in your head. Keep at it. Include the most specific details – water actually flowed from my faucet at the flick of my wrist when I was thirsty this morning; I can see the mourning dove pecking corn outside my window; my cup of coffee tastes delicious – dark, aromatic, and hot. A sure way to find hope in a dark time is to count one’s blessings. This simple spiritual practice focuses our attention not on what has happened or what might happen, but on what we can discover to be thankful for in this moment. Gratitude awakens mindfulness, which calms and focuses us on simple pleasures and the miracle of life itself. I can recall some pretty anguished nights in my life. I flailed about rehearsing imagined scenarios, practicing speeches to give to various people, and writing scary science fiction. To what end? Nothing productive. I only became more and more entangled in my own hysterical drama. Some of us come to a point where we are being eaten up by worry and fear. This can be the key to a wonderful discovery. Right about when we say, I can’t live like this anymore, we discover we do not have to. Peace is a choice. We have the freedom through an act of our wills to choose peace of mind. So much about the spiritual life and happiness in general depends upon where we put our focus. We get to choose what thoughts we entertain and which ones we sweep out the door. At the same time there is tremendous competition among multiple influences to occupy the center stage of our minds. Consider for a moment who or what influences are in charge of your mind? The mantras of our consumer culture? Some nasty critical, negative inner voice? A whiny, fearful, abandoned child? A tangled root of bitterness? The psalmist puts it succinctly, “Do not fret – it only leads to evil.” Psalm 37: 8. Spiritual teachers of many traditions teach the practice of gratitude. 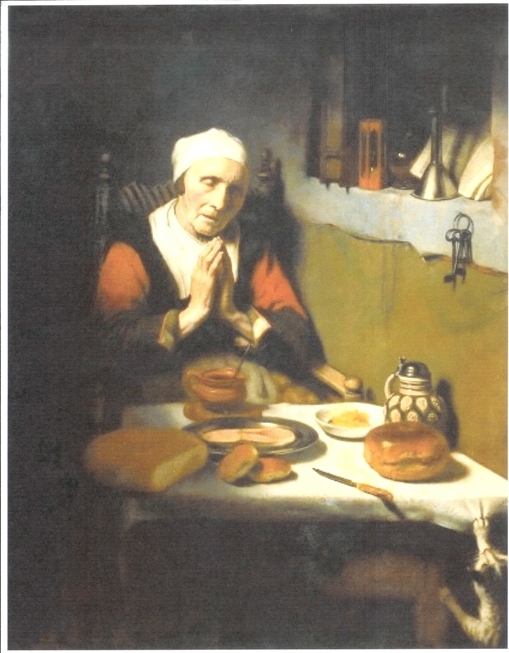 Jesuit priest Jeanne Pierre de Caussade, who died in 1751, advises: The great principle of the interior life lies in peace of the heart: it must be preserved with such care that the moment it is in danger everything else should be abandoned for its re-establishment, just as when a house is on fire, one leaves everything to extinguish it.. . . And the reason of this is that great peace and tranquility of spirit alone give the soul great strength to achieve all that God wills while trouble and disquiet turn the soul into a languishing invalid. De Caussade’s image of the languishing invalid cracks me up. That is exactly what I become as I succumb to fear and anxiety: infected with negativity, unable to make clear decisions, confined to a bed of worry. 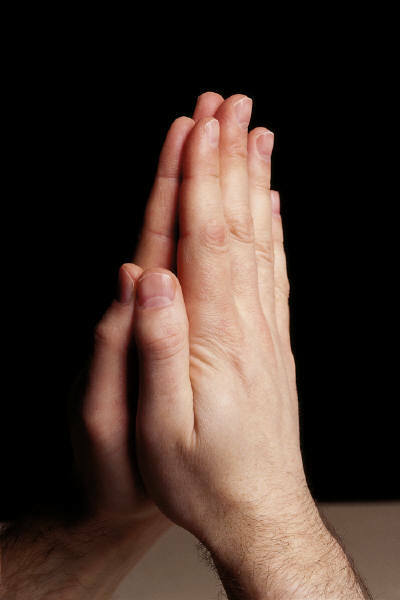 If the only prayer you ever pray is thank you, that would suffice, wrote Meister Eckhart. It seemed to work for Jesus. Remember that embarrassing moment when there were only two fish and five loaves and a huge hungry crowd to feed? The disciples quickly turned into languishing invalids. Jesus takes what he has, lifts his eyes to heaven, and gives thanks. After everyone had enough, they filled twelve baskets with leftovers. That was Jesus’ miracle. Why don’t you go work a few of your own today?